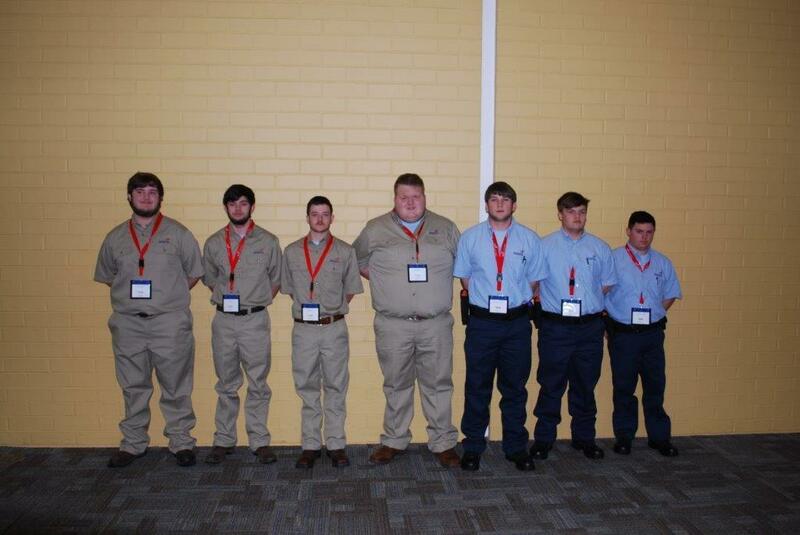 Three teams from Chesterfield High School attended the South Carolina SkillsUSA Leadership and Skills Conference March 14 – 16. Skills USA is a Career and Technology Student Organization which promotes skill development and competency mastery by hosting skill and leadership events that underscore what is learned in the classroom. SkillsUSA students from across the State compete for South Carolina's top spot in their field of study. Two of Chesterfield High’s teams competed in the Mechatronics contest with the team of Will Jordan and Austin English placing first and the team of Cody McAllister and Chase Oakley placing third in the state. Will and Austin will move on to represent South Carolina at the National competition in Kentucky this June. Chesterfield High was represented for the first time in the Crime Scene competition by the team of Dalton Hudson, Gabe Oliver and Trey Oakley. These gentlemen placed second in this competition. All of these gentlemen performed exceptionally well in their respective events and proudly represented Chesterfield High School at this competition.